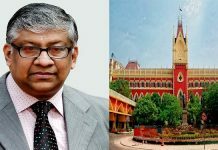 Kolkata: With the judge taken ill, the scheduled hearing into the writ petitions filed by CPI-M and PDS in Calcutta High Court challenging the single-phase Panchayat polls in Bengal could not take place today. 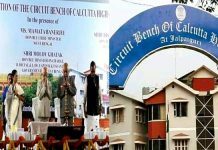 The petitions were filed last week in the court of justice Subrata Talukdar and the hearing was scheduled for today. But today morning, justice Talukdar developed a fever and thus the hearing got deferred. The hearing is now likely to take place on Tuesday. 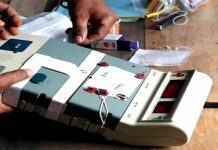 The State Election Commission (SEC) had initially scheduled the Panchayat polls to be held in three phases on 1, 3, and 5 May. Later, the opposition political parties moved the High Court over Trinamool-sponsored violence during the nomination filing. This made the HC to direct the SEC to extend the deadline for nomination filing. This, in turn, made the SEC to reschedule the election. But this time, under pressure from the state government, it fixed the polling to be held on a single day, i.e. on 14 May. CPI-M and PDS have questioned the logic behind reducing the election from three to single phase. They have also sought to know would the SEC be able to ensure violence-free election if the Panchayat poll is conducted on a single day as planned.